Being a traditional ruler, many expected that he was going in for polygamy but the young chief repeated after being asked by the presiding mayor the third time that he was signing in for a monogamous marriage. The young royal father explained that he had only one missing rib, and he has found the rib in the person of Hannah Lokowo Beckley, and therefore no space was left in his life for other women. 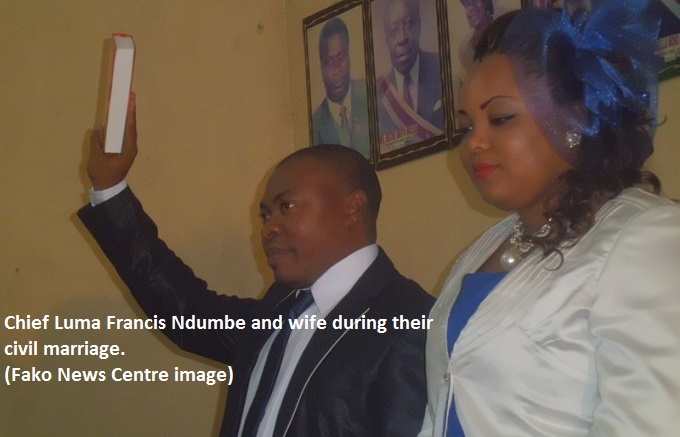 Their marriage was later blessed at the Presbyterian Church, Bokwaongo, on Saturday November 30th ,2013. There, the new couple was called on to place God as the bond that will unite them in times or joy and sorrow. The man of God who presided over the ceremony reminded the newly wedded that marriage is not a bed of roses. He called on them to also expect difficult moments in their relationship. He added that their success will only depend on how maturely they handle their family affairs. The marriage also witnessed the performing of traditional rights. This part of the occasion observed the official handing of the bride to her husband with respect to the Bakweri custom and tradition. 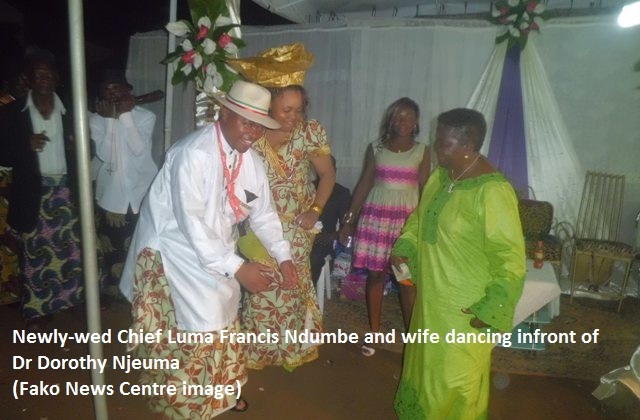 Mola Moki Mokondo and Aunty Becky Efoe stood as witnesses for Chief Luma and his wife respectively. 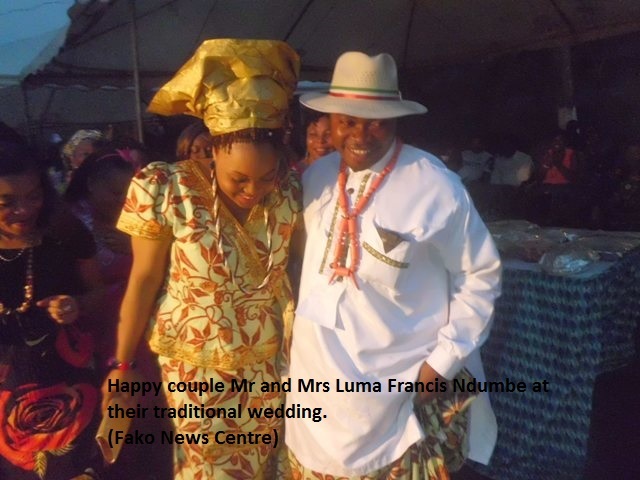 Though Mola Moki is already married, Chief Luma’s wife requested that he should be the ‘best man’.